Here are a few of my favorites. This represents 5 out of approximately 30 pots. I’ll post more pictures as the weeks go by. The Perfect Flowers for Me! I have to apologize for neglecting the blog a little as of late. I’ve had some personal commitments to tend to and my time has been greatly impacted. 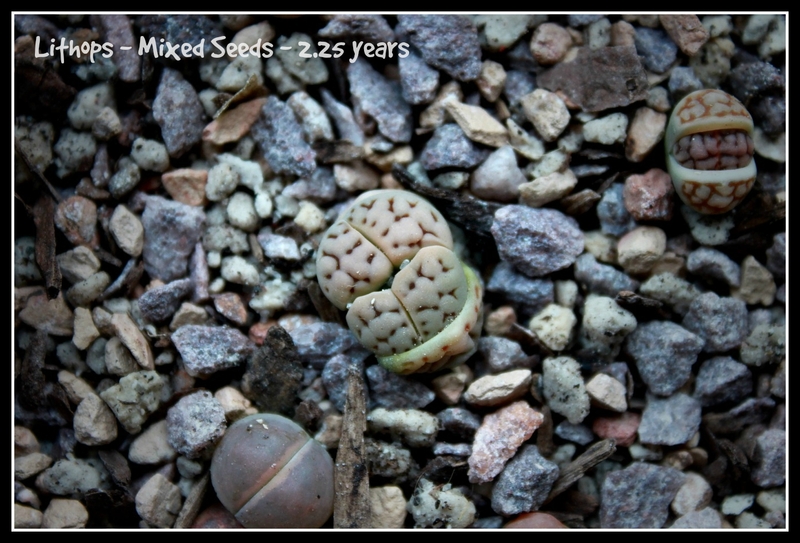 Ten years ago, I found a little Lithops plant at Shelmerdine’s Greenhouse in Winnipeg, Manitoba. That little plant started an obsession! I thought it was just the coolest little thing. Sadly, it didn’t survive the move to Ontario and I couldn’t find any here, so I tried to grow one from a seed. I killed 160 Lithops seedlings that year. I’m nothing if not determined, so I read everything I could on the Genus and tried again. Stay tuned for the new 2015 seedlings soon!!! FUN!